Lifted up, the best is yet to come! "Lifted up, the best is yet to come!" As these final words of the intro to Romain Virgo's current EP Lifted trail off, I try to remember what his last release was. The Rising-Stars-winner has been actively building his career for the last 9 years, performing on stages all over the world, and it's hard to believe that his latest album proper dates back to 2012 (The System). But indeed, apart from a Mixtape in 2013, his overwhelming presence on the international Reggae scene has been solely accomplished by several single releases, collaborations as well as contributions to compilations such as the recent The Reggae Power 2. It is thus with great expectations that fans and friends have been looking forward to this VP release, and I doubt that the seven songs included completely still their hunger. But let's take a closer look. After the Gospel-like intro Lifted, God Inna Me Corner sets the spiritual foundation on which the rest of the EP builds up. The Dawg House production is best experienced in the accompanying video, putting the well-conceived lyrics in the mouths of fellow Jamaicans, men, women and children. Followed by the Agent Sasco feature Fade Away, the consciousness is seamlessly perpetuated by Virgo's insistent voice telling us that "dutty heart can't sweep wid broom (…), can't wash wid soap". Big ups to producers Niko Browne (Lifeline Music) & Dawin Brown (Vikings Production) for this piece of ear-candy! Badda Man bows to the rising popularity of EDM in Jamaica (riddim-wise), while the lyrics condemn the criminal lifestyle of a gangster. This track and the "hustler's anthem" Work were the only two pieces completely unknown to me and are certainly a nice addition to the singer's hall of fame. The remaining three songs, however, are the stuff that his fan's dreams are made of. Nothing much has to be said about the Sam Smith cover Stay With Me, of course, except maybe that Romain's version of the Youtube video has by now overrun the original by a few thousand clicks. A similar popularity can be expected of the Sly & Robbie & Spicy Chocolate production Star Across The Sky, a song which combines beautiful music with lyrics that touch us with the eternal quest for love and a voice dripping with emotion (which is goose-bumping me more in the lower ranges, though). My personal history with the next song aside (oh, the memories! ), Soul Provider is doubtlessly one of the brightest gems in the singer's crown. Its timeless appeal has made it a favourite of many a DJ's selection, so that, whenever the Brighter Days Riddim strikes, you can be sure you'll hear this one. In this line (and knowing that you are fed, but not satisfied), you'll be glad to hear that there is a full album scheduled for 2016. Entitled Love Sick, we will certainly be provided with more soul and, most of all, love. Until then, Lifted will carry us through. 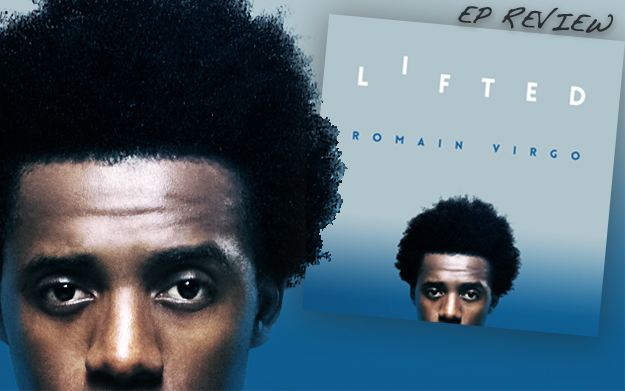 And, as Romain Virgo told us in the beginning, the best it yet to come!